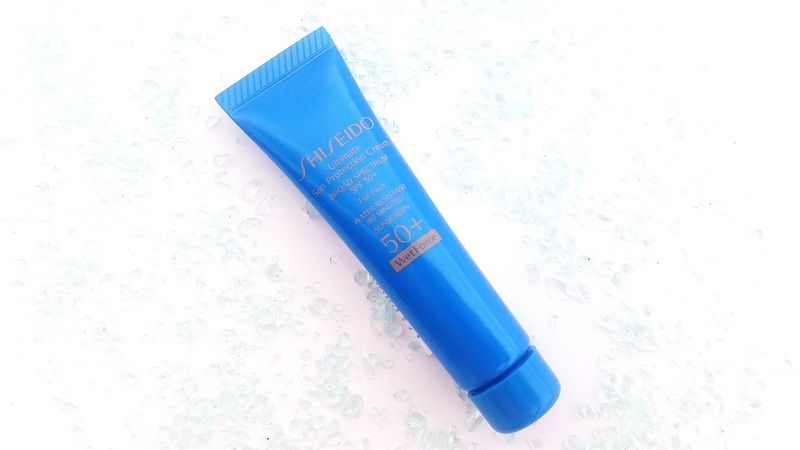 Product Description: The Shiseido Ultimate Sun Protection Cream SPF 50+ WetForce for face is an innovative protective sunscreen. It's made to become more effective when it comes into contact with water. Making it a great sunscreen for outdoor activities and sports. 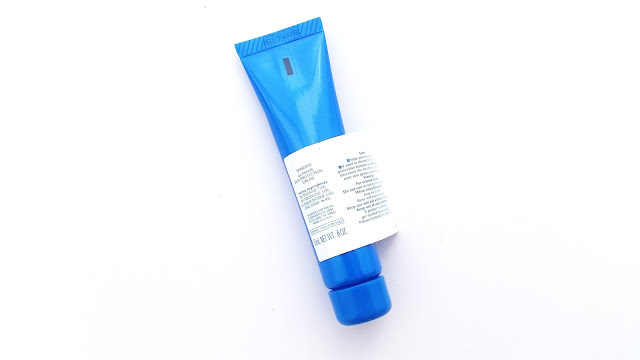 The sunscreen's high SPF protection will protect the skin from UV damages and help to reduce the appearance of photo-aging at the same time. Despite its high coverage and protection, this product is made with a gentle formula that will be comfortable on the skin. To Use: Use this product as the last step of you skincare routine. Squeeze out a pearl size amount of the sunscreen and dot on five parts of the face. Gently smooth the product out evenly over the entire face. Apply liberally 15 minutes before sun exposure and reapply after 80 minutes of swimming/sweating or every 2 hours. 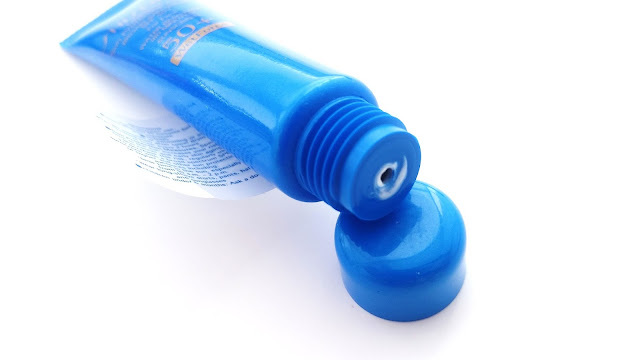 Ingredients: Water, Dimethicone, Sd Alcohol 40-B, Isohexadecane, Butylene Glycol, Isopropyl Myristate, Methyl Methacrylate Crosspolymer, Lauryl Peg-9 Polydimethylsiloxyethyl Dimethicone, Xylitol, Glycerin, Polybutylene Glycol/Ppg-9/1 Copolymer,Isododecane,Trimethylsiloxysilicate, Disteardimonium Hectorite, Peg-6, Dextrin Palmitate, Peg-32, Peg/Ppg-14/7 Dimethyl Ether, Saxifraga Sarmentosa Extract, Scutellaria Baicalensis Root Extract, Ononis Spinosa Root Extract, Ectoin, Sophora Angustifolia Root Extract, Silica, Hydrogen Dimethicone, Carboxydecyl Trisiloxane, Aluminum Hydroxide, Stearic Acid, Trisodium Edta, Polymethylsilsesquioxane, Talc, Alcohol, Bht, Syzygium Jambos Leaf Extract, Tocopherol, Phenoxyethanol, Fragrance. Packaging: The sample size comes in a squeeze tube packaging as seen in the picture above. The full size product comes in a squeeze tube as well, but it's much larger and looks more like a squeeze tube bottle. Scent: Fragrance was added to this sunscreen, likely to cover that sunscreen scent we're all too familiar with and it does seem to help. Although, there's still a hint of the typical sunscreen scent, it's mainly covered by the nice floral scent and a hint of alcohol as well. (Alcohol is 3rd on the ingredient list.) To me, the scent is more than mild but not overwhelming and it does lighten over time. Color: The sunscreen is white in color. It can leave behind a white cast. Texture: The sunscreen has a lotion like texture that's not runny but not thick either. It feels lightweight on the skin. Once it dries, it leaves a slight silky veil on top of the skin. 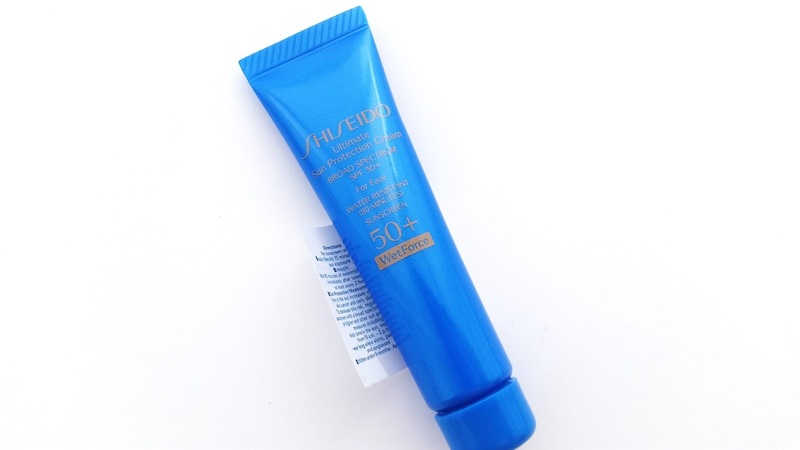 Michelle's Thoughts: My favorite sunscreen from Shiseido is still their Urban Environment Oil-Free UV Protector. It's been my go to for years and it's one of the few sunscreens I've repurchased multiple times over the years. I've tried some of the sunscreens from their WetForce line too, mainly the Face and Body version, as well as this one I'm reviewing today. The Shiseido Ultimate Sun Protection Cream SPF 50+ WetForce for Face is not perfect but still good. I personally think the sunscreen's innovative WetForce formula is amazing and it works really well actually. I've taken the Face and Body version on multiple beach vacations trips with me and it's always protected my skin from the harsh UV rays. 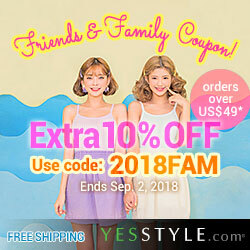 It offers great protection from water as well as sweat, which is what makes it great for summer vacations. Like the Face and Body version, this Face Only version stays in place and it doesn't feel heavy or greasy on the skin. It offers the same kind of protective skincare benefits and it has the exclusive SuperVeil-UV 360 technology which helps to reduce the appearance of photo-aging. As awesome as this sunscreen sounds so far, it does have a few downsides and they're the reasons why I won't get a full size of this. However, I do use this sunscreen whenever I get a sample of it. For me, its main downsides are the white cast it can leave behind and the uneven/pilling application it can have at times. As you'll see in the swatch picture below, the picture on the right shows the white cast after application. It's not super bad on my skin tone, but I imagine the results will vary for some. I have worn this into the water and found that some times it can get even whiter once it hits the water. Making it look like a slight white mask on the face. The other issues is the uneven/pilling application it sometimes have. This issue it's likely a combination of the sunscreen and my skincare products but I'm not going to change an entire line of product for one sunscreen. Especially since there are other options on the market. That's a personally opinion though and it might not be an issue for others but it's good to check just in case. However, if you are lucky and don't have these issues with this sunscreen, I think you'll like it a lot. Final Thoughts: This is a pretty good sunscreen and I would probably like it a lot more if it doesn't have those 2 cons for me. The white cast is not the biggest of issues but the uneven application and potential pilling is. Which is why I haven't bought the full size version of this sunscreen yet. However, I still use any sample size that comes my way in beauty boxes I've purchased or in this case, this sample was from the Sephora Sun Kit I purchased last year. I think this sunscreen would be great for people are looking for a waterproof and sweat-proof sunscreen. Not everyone will have the same issues I have with the sunscreen, so it's worth a try. You can always stop by your local Sephora to test it out before you make the purchase. Do you guys feel the same about this sunscreen as I do? Or are you one of the lucky ones?